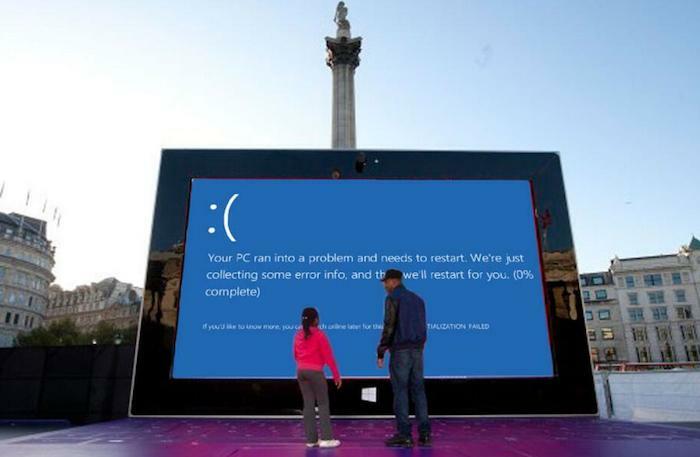 Microsoft has put up a huge Surface Tablet display right at the heart of the London in an action to try and promote the Surface Tablet. The company has staged a massive 383-inch Surface Tablet at the Trafalgar Square. We have seen the Microsoft has a bit of a fascination with bigger screen display. Earlier this year, Bill Gates used a giant 80 inch Windows 8 Display that he said that he use it occasionally. This is considered to be a great marketing move from Microsoft in an effort to make people aware of what the new Surface Tablet 2 has for them. Does the Giant Surface Tablet Works? The next question is, does it even work? Or is it just a giant piece of decoration with large cardboards tapped and painted together to look like a Surface Tablet? Well, to your surprise, it actually does work which makes it even more interesting. The giant Surface Tablet, which was built by Microsoft in just less than 12 hours, is 27 feet wide and 17 feet high. It has a purple keypad that has keys on it attached to the screen via USB and micro HDMI to response to the key press. The keys are programmed to a Surface Pro 2 tablet nearby. The Surface Tablet offers a spelling game and Microsoft is encourage the small kids to play the game. The keys can be pressed by jumping on them. There is also space between keys to walk to the right key and then jump on it to get the required input. The game is to press the right key combination to spell correctly. With the Surface Tablet 2 already facing fierce competition in the market, we think that it is a great move from Microsoft to advertise their product like that in such interactive way. London is the heart of England where thousands of tourists and works are present every day and the Trafalgar Square is the heart of London and one of the busiest places. Of course, they will have to get rid of the blue screen of death like image above.